Embrace the style of the classics with this women’s satchel-style shoulder bag in brown. The durable 100% polyester material has been expertly weathered to mimic the appearance of leather, while the shoulder strap can be easily adjusted to the desired length. 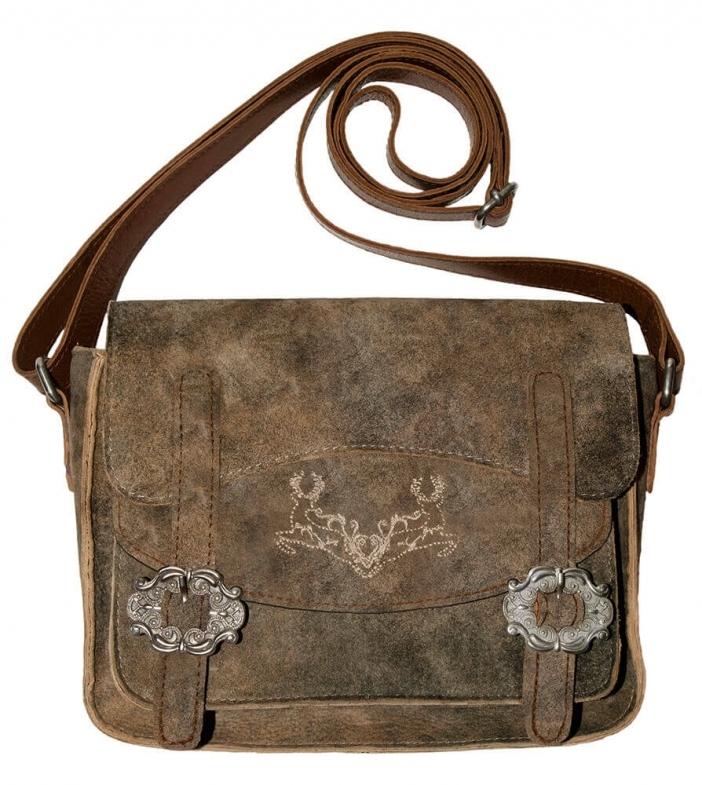 The bag boasts eye catching silver buckles on the front as well as classic German embroidery to complete the look. klein, handlich, das notwendigste passt hinein, einfach super! Tasche sieht super aus, ist aber kleiner als sie auf dem Bild wirktl ! Ein Fach mit Reissverschluss wäre super. Ansonsten Top ? ?